The Marvel vs Capcom series has always held a unique spot in the fighting game scene. While not as mechanically complex or precise as its Street Fighter cousin, its blazing speed, massive roster of fan-favorite characters, and focus on tag-team battles makes it a popular mainstay. 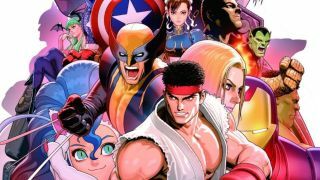 It's been five long years since we had a new MvC game to enjoy, but a new report claims Marvel vs Capcom 4 is just around the corner, coming in 2017.
Insider sources have allegedly confirmed to Polygon that the game will be announced this weekend as part of the PlayStation Experience event, where the Capcom Cup 2016 Street Fighter 5 tournament is being held. While details are understandably scarce, MvC4 will apparently focus more on characters from the Marvel Cinematic Universe of films. This makes sense from a business perspective - obviously if you were Disney you'd want any game featuring your property to direct consumers toward more stuff owned by you - but I hope that this focus on the films won't be to the exclusion of other Marvel properties. If we get a game featuring only Marvel characters from movies produced by Disney, that leaves out the Fantastic Four, the X-Men, and Deadpool, to name a few. Plus, it would be weird if, say, Scarlet Witch and Quicksilver showed up, since they're only referred to by their proper names (Wanda and Pietro) in the MCU, not their more famous codenames. The PlayStation Experience event kicks off Saturday, December 3. Hopefully we'll find out more then.